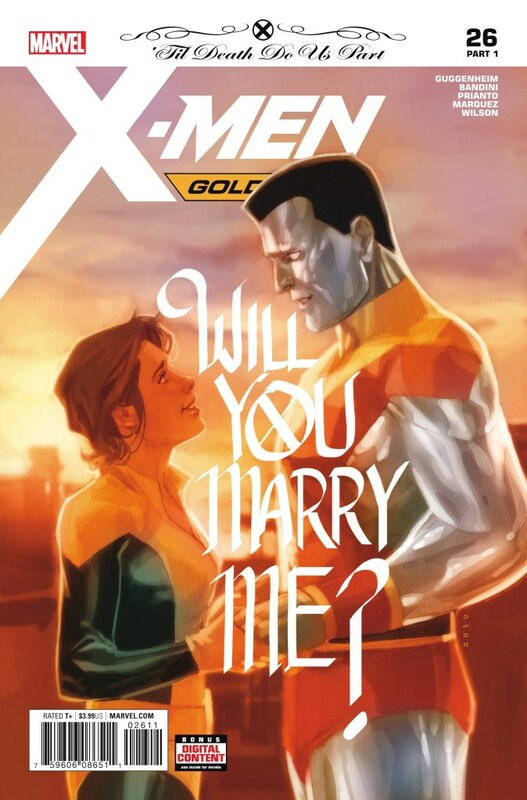 X-Men: Gold #26 (W) Marc Guggenheim (A) Michele Bandini, David Marquez (CA) Phil Noto Rated T+ In Shops: Apr 18, 2018 SRP: $3.99 • It all begins here! But WHO is tying the knot? And can I bring a plus-one? • Also: The X-MEN in their final confrontation with an old foe, a fight that ends up costing RACHEL everything.